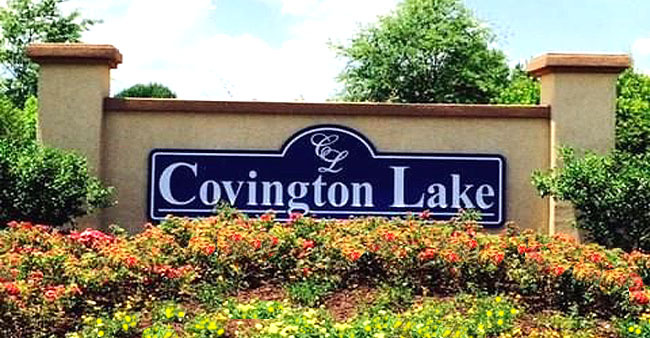 Covington Lake is located in the Carolina Forest Area of Myrtle Beach. Shopping, dining, fitness centers, and golf courses are literally all within 2 miles of this community. There is no specific builder in this community. Most were customized into spec homes. These homes are made of either all brick or stucco and come with 2 and 3 car garages. They range from 3 to 4 bedrooms, many with upgrades. The homes even feature hardwood flooring, granite countertops, landscaped yards, and lake views. As of May 22nd, 2018 there are only 2 lots remaining. Pricing in this neighborhood ranges from the 270’s to 390’s. They range from 1800 to 3000 heated square feet. The lakes are even stocked with fish for enthusiast to enjoy. Another enjoyable amenity in Covington Lake is that there is a pool and a cabana for its residents. For more information on this community, and a free Relocation Guide, contact this community’s expert, Melissa Carbone, at (914) 506-7299 or by email Melissa@SCRealEstateNetwork.com. Listing courtesy of Century 21 The Harrelson Group , Brian Yager.